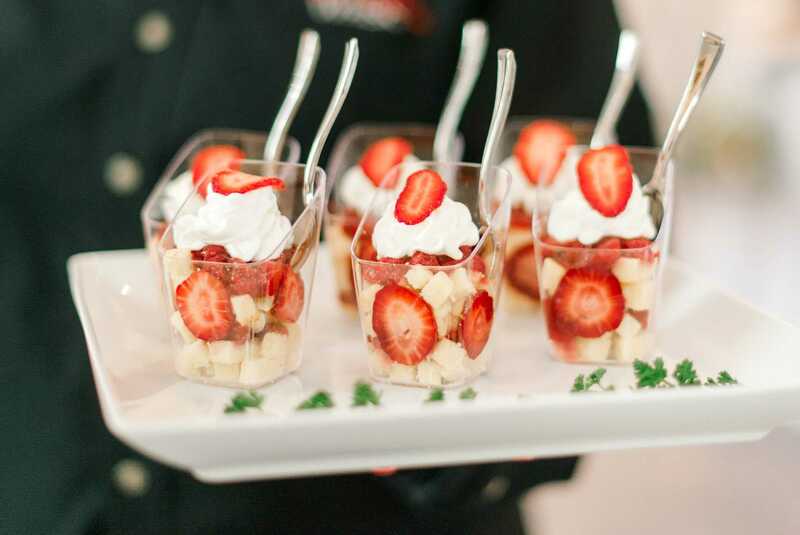 Wicked Whisk Catering, the private events division of Spectrum Catering and Events, is a full-service catering company. 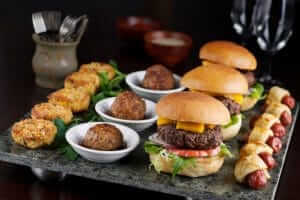 Our Corporate Office and Kitchen are located in The Woodlands, Texas. 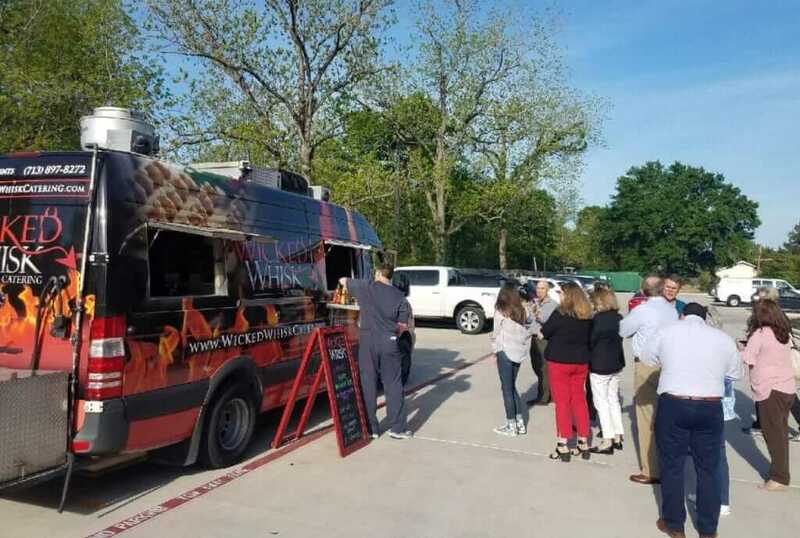 We also have a food truck as an extension of our division. 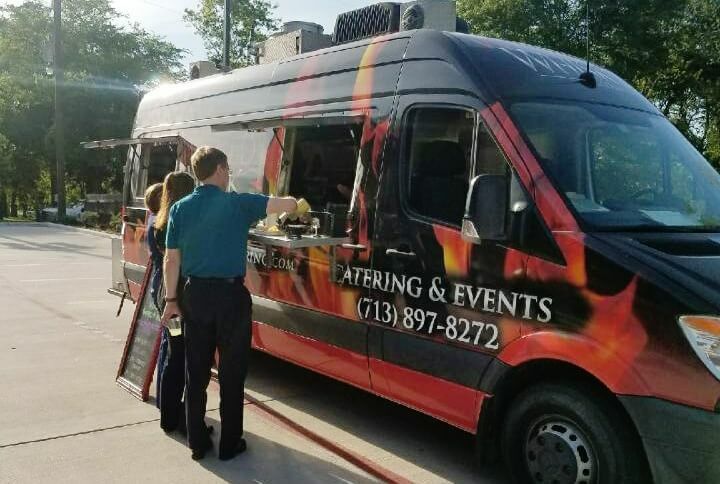 The food truck is available for private events only (bill hosted by the client), with a food and beverage minimum of $800 plus a food truck appearance fee of $450. Service Fee and Tax are additional. There may be some flexibility in the minimum based on the day of the event. White Cheddar, Lime Marinated Red Onion, Plantains with Ancho Aioli. Served with a Caribbean Jerk Spiced Shrimp Skewer with a side of Coconut Cilantro Rice Fried Plantains with Aji Amarillo Sauce.